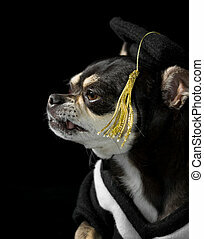 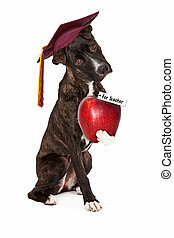 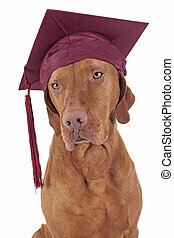 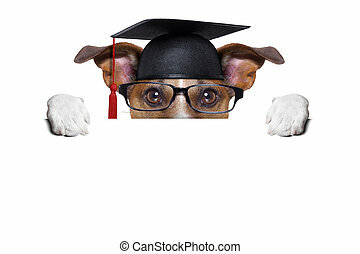 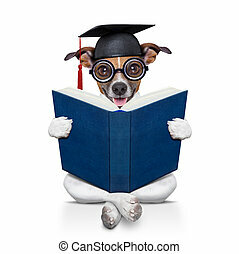 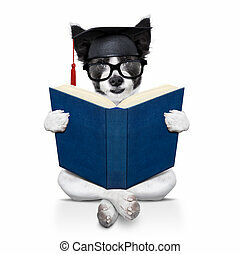 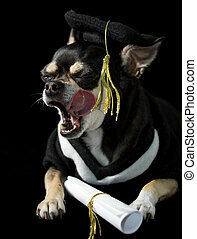 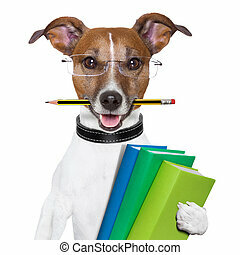 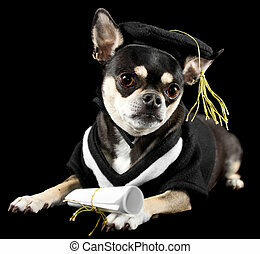 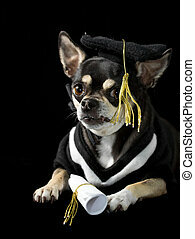 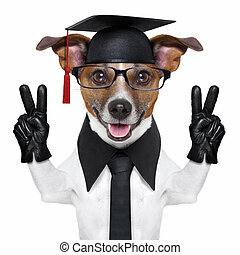 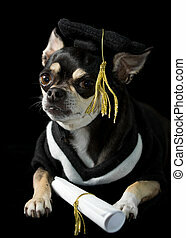 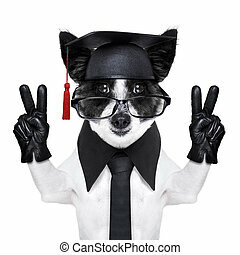 Graduation graduate dog. 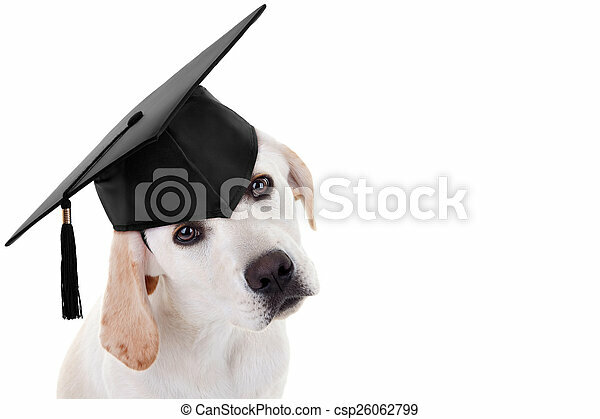 Graduation graduate puppy dog in cap. 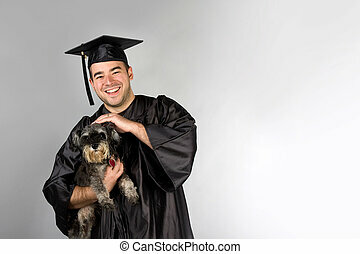 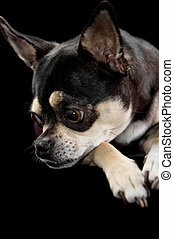 A recent college or high school graduate in his cap and gown holding his pet dog in his arms.